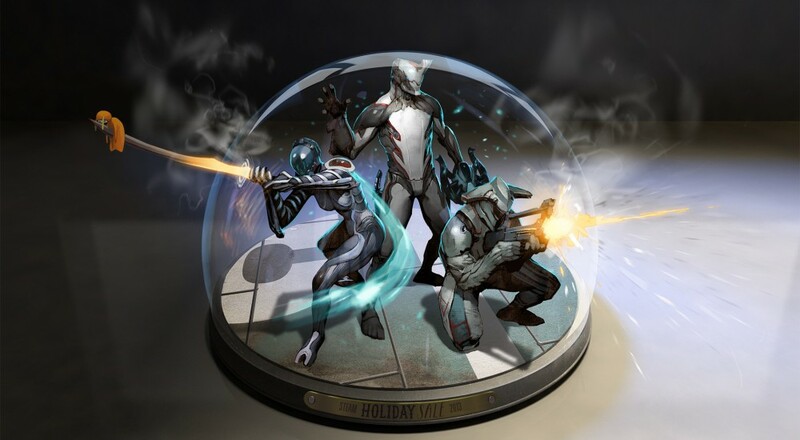 Digital Extremes has the perfect gift for you all gamers who, like me, enjoy the simple things in life: like space ninjas. The PC version of Warframe has gotten a new update, titled "Cicero Crisis," which includes yet another new Warframe along with a new tileset, new weapons, and further improvements. Topping all of THAT off, they're also running a big sale on their "platinum" and mod packs through Amazon and Steam. - NEW WARFRAME OBERON - Equally adept at healing friends or striking down the enemy, Oberon embodies the balance Tenno are sworn to uphold. - NEW EARTH FOREST SET - Explore the unruly, overgrown Forests of Earth. - OUR GIFT TO YOU - Get in the holiday spirit with the new Candy Cane Scythe skin! ... and that's not all! - NEW WEAPONS - Five new weapons including the Burston Prime, Karak rifle, Stug gel gun, Magistar mace and Scoliac whip. - GAS CITY EXPANSION - Explore new areas of the Corpus Gas City on Jupiter. - NEW WEAPON SKIN PACK - The new Forest Camo Skin Pack features 13 new Forest camouflage weapon skins and a Dethcube Sentinel Skin. - UPDATES - New updates and fixes to the Damage 2.0 and Trading Systems. Not only do PC players get to enjoy new toys, but they can also acquire some platinum, Warframe's premium currency, for a discounted rate. Now through January 2nd, you can purchase packs of platinum and mods on Amazon and Steam. Your better deal is through Amazon, actually, where everything's discounted down 66% whereas Steam is only 50%. I understand the objections to microtransactions and paying for a game that's "free-to-play," especially for content that actually makes a difference in the game instead of cosmetic things like player skins. I played Warframe a little over the summer as part of our free-to-play feature, but the lack of variety in levels/objectives and the grind needed to get new Warframes and weapons made it a chore to play without a few friends. At that time, it felt like you pretty much had to pay to keep things interesting. I've picked it back up again with the PS4 and the updates have made a world of difference. Materials seem easier to acquire, and blueprints for new weapons and Warframes are available from bosses at the end of each stage. It's starting to feel a bit more like a 3rd person action MMO, only you don't have to worry about someone ninja-ing your loot and it's always cooperative. You don't need to pay for the game at all, but it's worth the $17 to get some platinum and mods to unlock some content. It's a game I'd easily pay that much money for in a store. Page created in 0.3155 seconds.